It was a rather ordinary week around here. We went to the beach, but I have no photos of our fun time there. Oh well. I’m sure we’ll be back plenty of times this summer. It was 103 degrees here on Tuesday! Our northern state was that hot, if you can believe it. We go from -20 in the winter to 103 in the summer. What extremes! But how do you capture that as a photo? 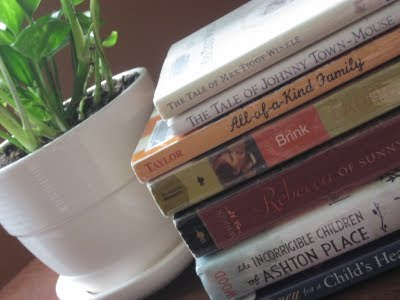 I guess I could of taken a photo of the dry patches in our lawn, but instead, here is a photo of what we got that day: books from the library! 56 to be exact! A kind gift from my aunt! 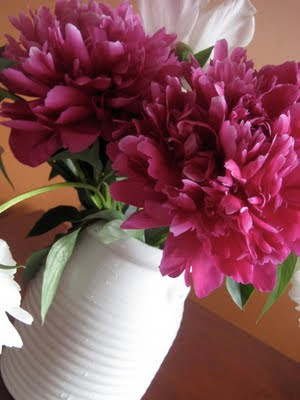 How I love peonies! We had them growing in the yard of our old house, and I hope to get a bush again one of these summers. The children getting along! Yay!! We had an up and down week regarding that. 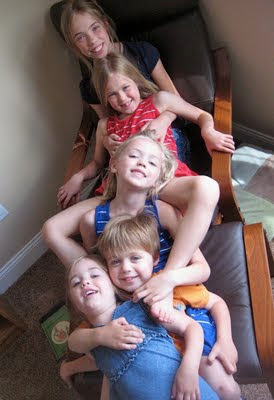 Some days were great and fun, and other days, I kept wondering, “What is going on with them?” Can I blame the heat? Maybe. Today’s high is only 60. Their get-along factor has been as varied as the weather this week. 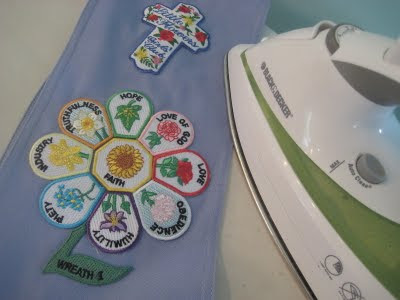 Working on attaching THREE sets of Little Flowers Girls’ Club badges for our tea party tomorrow morning. This is quite the chore. UGH! Happy Friday, friends! Happy Weekend!